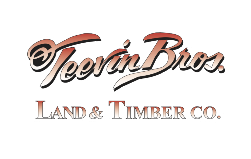 Operating from a centralized facility, close to freeways and on the Portland & Western Railroad line, our Eugene Log Yard on Irving Road daily accommodates up to 120 truckloads of timber. Most of the timber, arriving straight from the landing, is scaled (graded) on site, and quickly reloaded to rail to reach markets along the lower Columbia River. In a recent year this log yard throughput more than 80,000,000 board feet of timber. The Irving Road facility serves Lane, Benton and Douglas counties, taking in markets from Cottage Grove, Springfield, Eugene, Junction City, and Corvallis to name a few. While primarily a receiving, roll-out, and reload operation, our facility also accommodates southbound timber for the aforementioned markets. We capture bark and wood chunks so they can be kept out of landfills. We ‘recycle’ bark and wood chunks through local businesses where they become soil and landscaping supplements or bio mass fuel.